Whether you are a veteran courtroom litigator or even a litigation support professional, you will find this 3rd edition version of this book valuable. 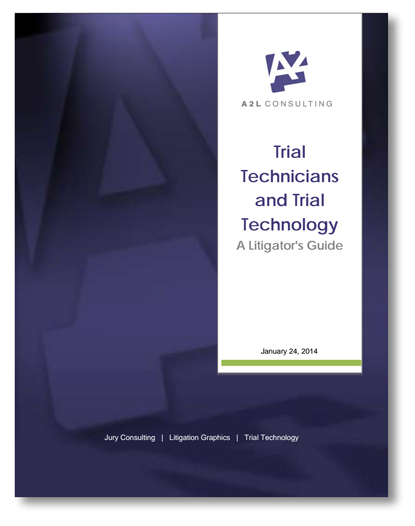 This guidebook includes useful articles about how to best organize your trial technology resources for courtroom success. This book is a must-have for anyone who conducts document-intensive and/or demonstrative-intensive trials. Topics discussed include tips for screening potential trial techs, avoiding courtroom technology hiccups, using a trial tech to look like a litigation star and much more.